In the Orient Express movie do आप think Johnny should be Poirot instead of Ratchet? प्रशंसकों के पसंद: Totally Poirot! Are आप happy that Johnny and Amber got married? Do आप think Johnny Depp should be in a relationship with Helena Bonham Carter? Have आप ever wrote him a प्रशंसक letter? How would आप like to be the owner of my Painting for $496? What was Johnny Depp's प्रिय movie that he was in? Hello Johnny one सवाल ...If im in प्यार with आप what happen ? Did आप watch the movie and if yes did आप like it? The three-time Oscar nominee "Johnny Depp" is picked up द्वारा 700 million प्रशंसक वोट्स as प्रिय Movie Actor at the 40th annual ceremony of People’s Choice Awards 2014, held at downtown LA’s Nokia Theatre on Jan 8th. 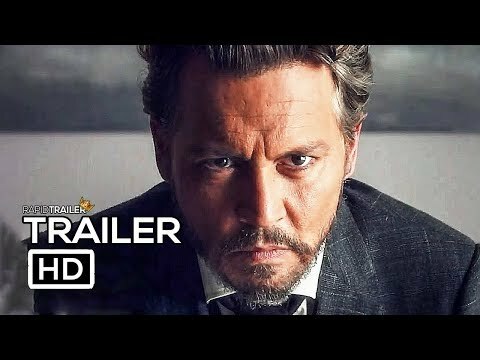 This is the 3rd time for Johnny Depp to win as प्रिय Movie Actor after winning in 2010, 2011 and this साल Mr. Depp won over Channing Tatum, Hugh Jackman, Leonardo DiCaprio and Robert Downey Jr.
Walt डिज़्नी Pictures decided to swap Pirates of the Caribbean: Dead Men Tell No Tales – the fifth installment in the theme park ride-based movie franchise headlined द्वारा Johnny Depp as the slippery scallywag Jack Sparrow – out from the Summer 2015 lineup this week (right after the studio repositioned Marvel’s Ant-Man to takes its place), rather than rush the swashbuckling blockbuster down the assembly line as fast as conceivably possible. I've always found it interesting that Johnny collects बार्बी dolls, so here's what I've managed to find out about his collection! Johnny says that he has dozens and dozens of Barbies, all of them are limited and special editions.His collection doesn't only include his own गुड़िया from his movies, but also Beyonce, the cast of "High School Musical", Elvis, Paris Hilton, Marilyn Monroe, and Audrey Hepburn, and one of Lindsay Lohan complete with ankle monitor bracelet from her time on house arrest. Just came back from the earliest दिखा रहा है I could get of "The Lone Ranger"! In a few words... IT. WAS. BREATHTAKING. I reserved special seats, called D-Box seats (not sure if they have them in your area), but they are basically seats that हटाइए with the motion in the movie. For example, if the shot showed men on horses, your सीट would bounce up and down (not too severely though). The seats were expensive, yes ($18.25 US a ticket), but they were definitely worth it. I could feel my दिल pounding in several train sequences. So, if आप can, I would recommend getting D-Box seats. Hollywood superstar Johnny Depp gave प्रशंसकों in Oklahoma a thrill द्वारा turning up unannounced at a screening of his new movie "The Lone Ranger" on Friday. The actor sent locals into a frenzy when he stepped onto the red carpet at Carmike Cinemas in Lawton with LaDonna Harris, a member of the Comanche tribe and president of Americans For Indian Opportunity group, on his arm. Depp was made an honorary member of the Comanche tribe last साल thanks to his portrayal of the Lone Ranger's Native American sidekick Tonto in the डिज़्नी adaptation of the classic TV show. a comment was made to the poll: Do आप think Amber Heard really loves him? a comment was made to the poll: Are आप okay with Johnny's relationship with Amber Heard? a comment was made to the poll: In the Fantastic Beasts movie do आप think Johnny should be Newt Scamander instead of Grindelwald??? Which actor advised Johnny to pursue an अभिनय career?